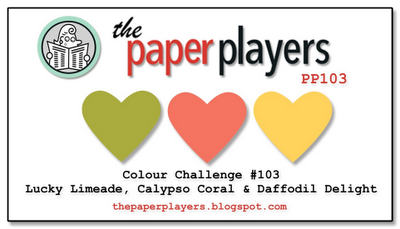 Check out the colour combination Anne Marie has come up with this week over at The Paper Players! These colours are so pretty and soft together, aren’t they? I might have to use them again – thanks for the inspiration Anne Marie! My layout for my card was inspired by an old Pals Paper Parts sketch and then as I normally do – I changed it up a bit. 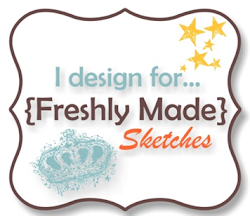 I’m hanging out for our new Stampin’ Up! catalogue so I can buy myself some new flowery sets. Until it comes I’ve decided I’m going to revisit some old stamp sets that have been neglected in my cupboard. Upsy Daisy is one of those stamp sets that hasn’t stayed on my desk (where my favourites live). I don’t think I’ve used it much at all over the last 2 years. This is so cheerful and happy! I never got this set, so I always love seeing what others create with it! So glad you were able to play with the Paper Players this week! Thank you for the reminder about this set! It was a fave of mine! I’ll need to dig mine out soon! Your card is wonderful!!! Thanks for inspiring me and for playing along with us at the Paper Players! Stunning! Love those flowers and beautiful brad! Great use of beautiful colors…love it!!! 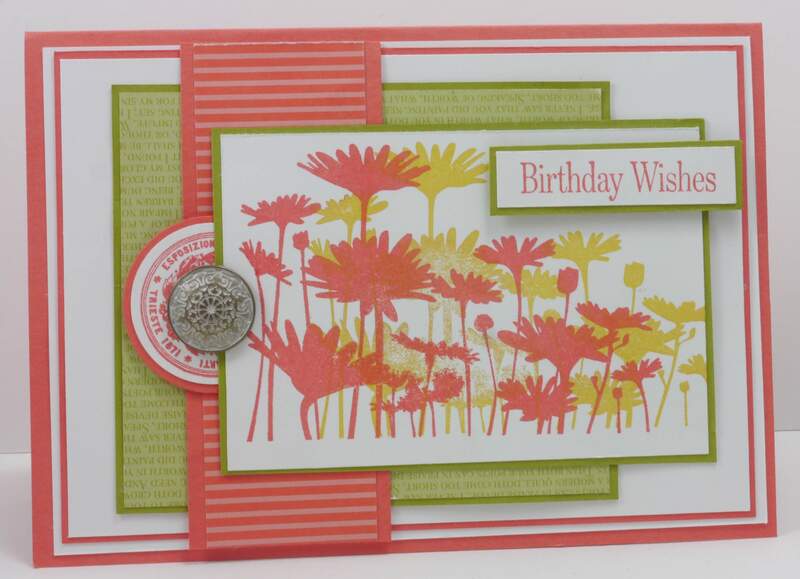 Love this stamp set and it looks great stamped with those two colours. That antique brad looks fab over that circle at the side of the image! Thanks for playing along with the Paper Players this week!